Cops have seized drones being used to fly drugs into London's Pentonville prison – and are now on the hunt for the people operating them. One drone crashed while flying over the all-male jail on 14 August. Another was intercepted in “mid-flight” heading towards the prison later that same day. Police did not say exactly how they stopped the second drone. The second flying machine, a small white quadcopter, was packed with “Class B drugs” which appeared to be cannabis, judging by photos released by police. 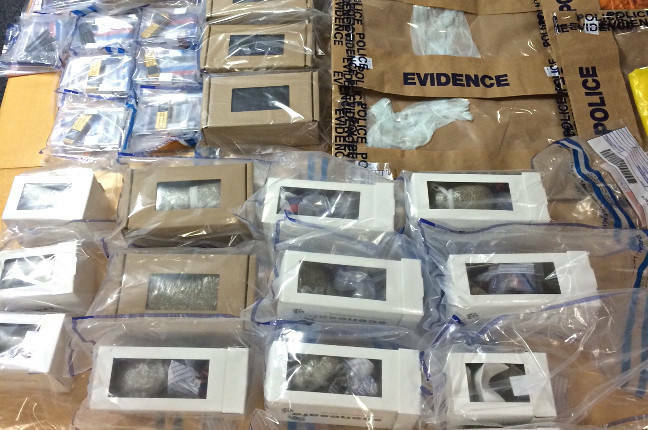 Detective Chief Inspector Steve Heatley said: "These recovered drones carried a substantial amount of Class B drugs, legal highs and a large quantity of mobile phones; we are able to intercept them thanks to the vigilance of officers and the public. We work closely with the prison service to gather intelligence in order to carry out proactive operations to arrest and prosecute such offenders. I would urge anyone with information about these events to contact the police or Crimestoppers to help us to identify those responsible."